Mike Engle just found the 1957 newspaper page for this Paramount and sent me the tip on it. I just checked google street view and sure enough it’s still there. Remodeled, yes, but still (barely) recognizable. It doesn’t seem to be in any of the diner finding guides or books, so I suppose this is a new find. I would love to see the interior. Anyone in the Chester area want to go check this one out? 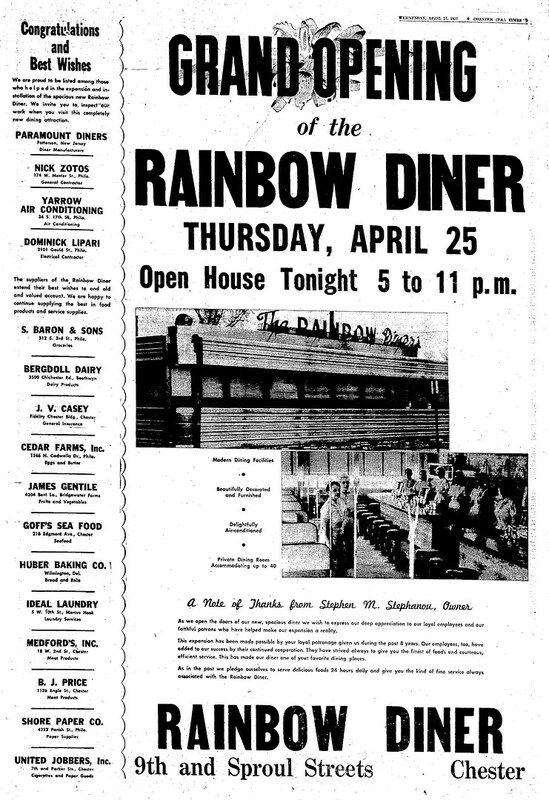 This entry was posted in Diners / roadside related, Diners/ restaurants, Paramount and tagged Chester, PA, Patterson New Jersey, Pennsylvania, Rainbow Diner by Spencer Stewart. Bookmark the permalink. Guess I’m the most likely candidate. Nice find. Cool. Could be anything in there. My uncle, Victor Andreoli, was an escaped con in the 1940’s. 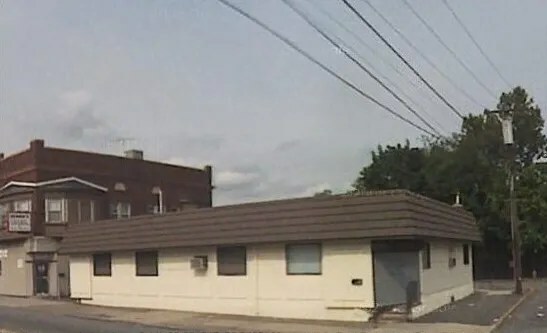 He was shot and killed in this diner.